New, Lower Lease rate! 2,300 sf suite available at $10 psf NNN. 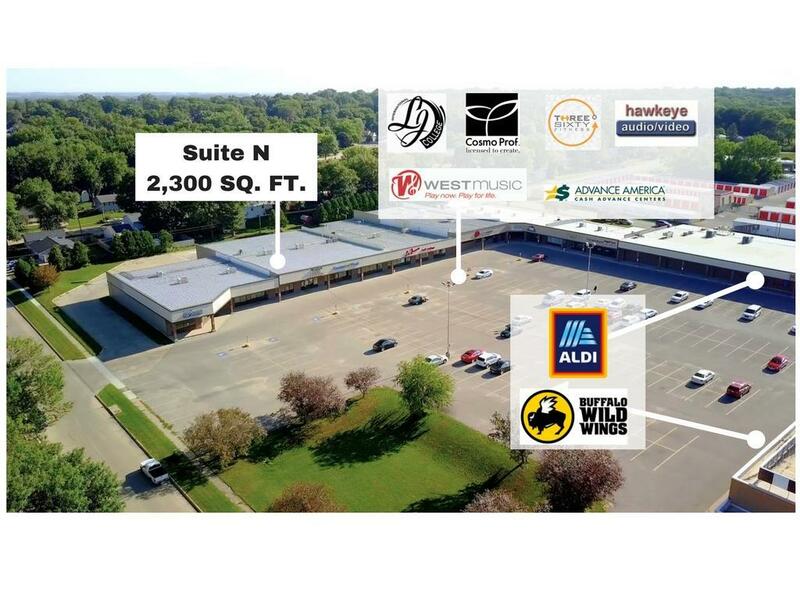 Central to Cedar Falls' core retail district; across from College Square Mall. Holiday Plaza is adjacent brand new and popular Buffalo Wild Wings restaurant. Low lease rate and NNN expenses.